Discussion in 'Creative Archive' started by Narupokefreak, Feb 15, 2011. This is my shop and here is the rules! 1. I'm only taking 5 request's at the time. 2. I won't accept people who doesn't read the rules. 3. If you steal my work, i'm gonna be really mad!. 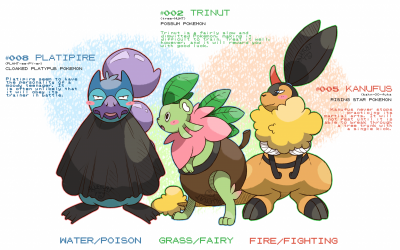 When you request a trainer sprite, tell me what BASE you want, and who you want me to sprite. Here, you just have to tell me who i should make, beacuse i want to decide the base. Here you have to tell me exactly how the frames must be, and who i should make an animation of. This is very hard to make because i just started to do it, so just tell me who i should make. It's free, but i want you to tell me what you think about my work when you request something. I ♥ all your sprites you're very talented! I am very fond of your trainer back sprites they just look awesome DD! I also like how you are bring a lot of Generation 3's sprites back to life :>! The animations are very good too D! There is only one little problem I can spot out and that is Maxie (I think thats his name..) looks a bit like a kid. Thank you so much! And i saw what you wrote, '' I am kind of jealous of your sprites ^.^ '' And thank you again! I really like these. But, I have to admit, a couple of them seem a bit... Awkward. Like the third mugshot. What's with the hairline? It looks black. But his hair is red. See what I mean? That said... I love the trainer sprites. Especially the second one. It just looks... Right. I can't even tell what it is but it's so cool. Maybe it's the fact that the knees have the right type of shadow. The type I can't ever seem to pull off. Overall, I really like your sprites. Please don't take my criticism as an insult. Here is some new sprites i have made. Do you think you could do a request I don't know if I can or not, but I like your work and I wanna see if you could make this sprite. Basically I kind of want it the way you did for Norman you basically remade it in his Emerald frame only to make it look more Gen 4/5 Do you think you can do the same for Juan? ??? Yeah, i'll think i can do that, and i know my sprites are good.